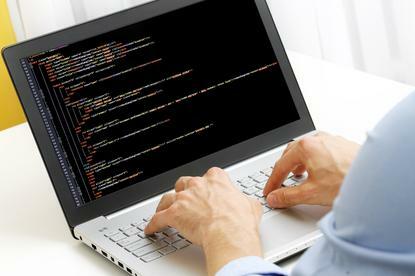 Coder Factory Academy (CFA) and Academy of Information Technology (AIT) have launched the first accredited coding bootcamp in Australia, where students can gain a tertiary qualification in six months and use VET FEE-HELP loan assistance. Argent said education and the needs of both employers and students are changing. With technology constantly changing, and the tech industry demanding skills to be frequently updated, people can’t really afford to invest years into a course where they risk coming out of it somewhat outdated. He said many short courses out in the market often have a high price tag. This stops many people from considering bootcamps and workshops for learning new skills. The six-month bootcamp is designed to help break down those barriers, Argent said. Students get an intense, compact version of a 2- to 3-year university or TAFE course, with a month of work placement experience and accreditation equivalent to a tertiary qualification. This is only available for the accredited Diploma of Software development course, but Argent hopes to extend it to other courses. “We’ve been working and talking with companies and finding out what they look for in terms of skills and personality, hard and soft skills, and we put these students in a work placement for a month so they can learn first-hand what it’s like to work in a development team. “But also the company gets to train a student or graduate the way they like to work, and they may want to hire them and keep them on,” Argent said. Argent said employers are starting to be more open minded towards candidates who have gone down a different route than the traditional formal education of a university degree. When it comes to competing with the growth in online courses, Argent said there are always going to be limits for the student in terms of group problem solving, being able to ask a teacher questions on hand, and bouncing ideas off others. “Online training is great and will take you so far, but most of our students have tried online learning and courses but when they hit a problem there’s nobody to help them. Even when they think they’ve learned a decent amount, when they go to try to build something they realise they don’t know enough to do that. “That is where a skilled teacher can guide them and show them a shortcut. It’s a much faster way to learn,” he said.